Discussion in 'Drivers' started by Nimrod, Feb 16, 2008. Purchased one of those cheap USB dongles for only 5 dollars but found to use it you need to spend money on the software? Or if you have found a cracked version or actually bought it and found its useless and wanted to use the built in Bluetooth in Windows XP SP2 or 3? Well now you can! Download is below for Windows XP SP2 and above. Why won't it download for you? At the bottom of the post you can see the file (BluetoothXP.zip). Just click it and it should download. If not, try right clicking --> save target as. This isnt working for me with XP Pro SP3!? Does it work for anyone else!? Hello “some1” Can I ask you to go in to more detail, what doesn’t work? Can you install it, if so what doesn’t work once its installed? Looks like a good idea, but .... even though I've registered and logged in, the site claims I'm linking from another site (I'm not) and gives an ugly warning about leechers. What is up with that?? It's most likely a conflict with a security package you have installed on your PC such as Norton Internet Security or another similar package from another company. Software like this can sometimes block the referring URL you clicked the download link from, this means the Digiex web server is unable to tell if you clicked on the link from Digiex or another website, this can cause the error about leeching the download. You can disable such software and try and download the driver again, if that doesn’t work send me a private message with your email address and I'll send you the drivers. Hey there, it will be possible to hack these drivers to work in Windows XP X64, however at the time the drivers were originally hacked no one at Digiex had a 64bit XP install to do this. Nimrod is currently on holiday and won’t be back for at least another week, if you check back then or send him a message he should be able to help you get the Bluetooth dongle working on XP 64bit. install works perfect . only in managment i get a yellow ! Thanks very much for your work on this. I'll be happy to donate a few dollars to your cause if you can help me to get this to work on my computer. -Get an error message: "The specified location does not contain information about your hardware." It won't let me get past this point. Any ideas? ... and I'm using Win XP SP2. Thanks in advance! You can hold me to that donation offer through PayPal - I trust you can view my email address via your admin CP (I use the same address for PayPal). Did an XP X64 version of the driver get done and I used to use the 32bit version and now I've installed X64 I would like to get this bluetooth adaptor working. It is not working for me on XP Sp3. It says driver not found even though I specify the driver folder or force it in advanced and have disk. I have the horrible bluesoleil v2.6.0.8 that came with it...but I am finding it difficult(impossible) to get my Palm to connect with ActiveSync. 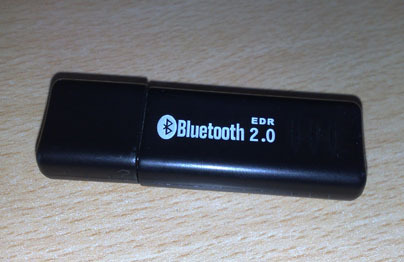 My brother bought this dongle and the driver on cd that came with dongle (Bluesoleil ) doesnt work, i get error mesage how it didnt installed properly, so after some searching by device's name i found this place, but i have a problem, when i point to location where i exctracted archive druing instalation wizard, it just skips to last step like there are nothing in that folder. Any tips ? My os is winXPsp2. To clear things up, are you actually talking about the driver on the CD or the driver we are providing? If windows ignores the driver we are providing then its not suitable for your device. Installation of driver from cd went ok but the program doesnt detect the dongle, so i uninstalled it and downloaded this one, did everything as written in 1st post but as i already said, when i point the wizard to folder it just skips like nothing is there. I think i have this device cause in device manager its described as ISSCEDRBTA and its identical as one in pic. Then either its not the same for some reason (perhaps they changed their hardware?) or Windows is refusing the drivers because it thinks it has good enough ones. Go onto the Device in Device Manager and delete its current drivers then try to replace with these. Tried it and it doesnt work, then during wizard i chose option not to install, will choose drivers and then tried bluetooth device and bluetooth radio and then pointed installation to bth.inf only to get message "the location does not contain information about your hardware". Im starting to think the dongle is malfunctioned from the start, i'll just go and buy myself a decent one this time. So i gave it one last shot, i found in IVT Readme some commands to add in .inf files in BlueSoleil folder and sys32 if device doesnt work properly, tried that and it didnt worked so i changed VID and PID number in commands to ones from device manager dongle properties page, that didnt work either. Im off to buy another dongle, any recommendations ?